Maggie Gleason is looking toward the future. Part of a midcentury wave of young women seeking new lives in New York City, Maggie works for legendary Port Authority public relations maven Lee K. Jaffe--affectionately known to her loyal staff as Mrs. J. Having left Cleveland, Maggie has come to believe that she can write any story for herself that she imagines. Pauline Moreau is running from the past--and a shameful secret. She arrives in the city on the brink of despair, saddled with a young daughter who needs more love, attention, and resources than Pauline can ever hope to provide. Seeing that Pauline needs a helping hand, Mrs. J tasks Maggie with befriending, and looking after, Pauline. As the old New York gives way to the new, and Mrs. J's dream of the world's largest skyscraper begins to rise from the streets of lower Manhattan, Pauline--with the aid of Maggie and Mrs. J--also remakes herself. But when she reignites the scandal that drove her to New York, none of their lives will ever be the same. Maggie must question everything she thought she knew about love, work, ambition, and family to discover the truth about the enigmatic, strong woman she thought she had rescued. 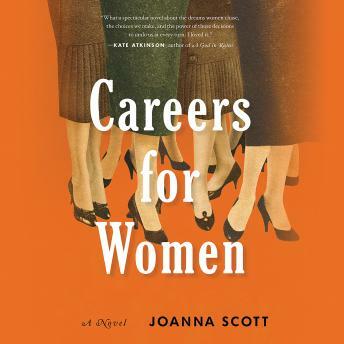 Careers for Women is a masterful novel about the difficulties of building a career, a dream, or a life--and about the powerful small mercies of friendship and compassion.